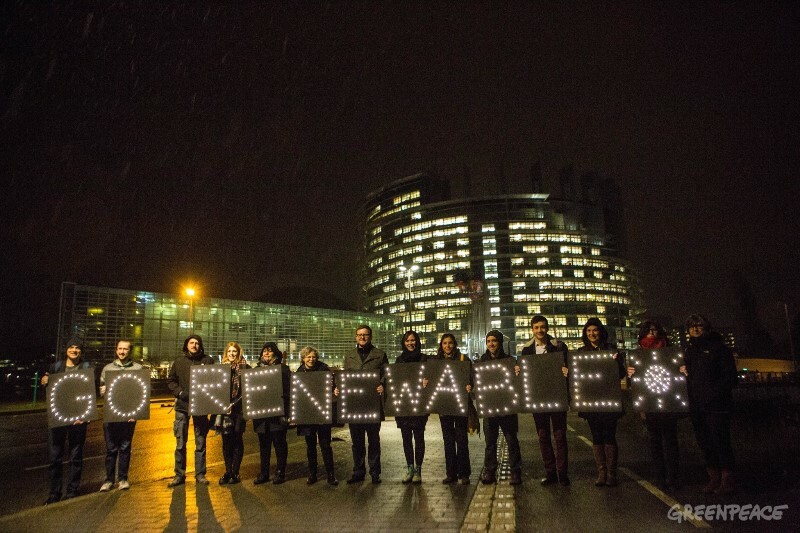 Strasbourg – Today the European Parliament voted to increase the EU’s 2030 renewable energy target to 35 per cent. Projections show that the current target of 27 per cent, supported by the European Council and Commission, is too low to meet the EU’s commitments under the Paris climate agreement to limit global temperature increase to 1.5 degrees. The European Parliament also strengthened rules supporting people producing renewable energy at home or through joining a cooperative. This includes rules that would make self-consumed electricity free from punitive charges, levies and taxes. This would make Spain’s controversial ‘sun tax’ illegal under EU rules. The ‘sun tax’ forces Spanish solar panel owners to pay for the electricity they produce and consume themselves. A 2016 report by CE Delft shows that, with the right support, half of all EU citizens could produce their own electricity from renewables by 2050, meeting nearly half of the EU’s electricity demand. Power companies would provide the remainder of Europe’s renewable electricity. The European Parliament backed the continued use of bad bioenergy in the EU. Their proposal would, for example, allow member states to burn whole trees to meet their renewable energy targets, which scientists agree will increase emissions for decades and significantly contribute to forest degradation. Energy ministers, who reached their preliminary agreement on the full energy reform package on 18 December, backed controversial subsidies for coal, nuclear and gas and weakened proposals to empower households, cooperatives and municipalities to produce and sell their own renewable energy. Three-way negotiations between the Council, Parliament and Commission will begin in the coming months.